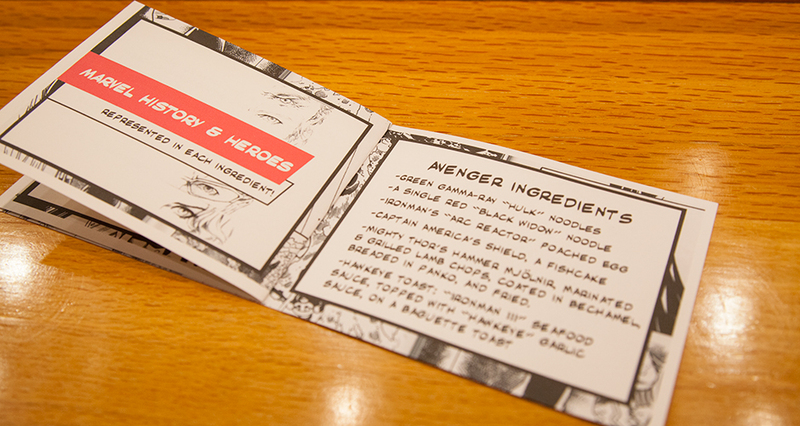 An honorary ramen blend, created by master Fumihiro Kanegae, celebrates the superhero narrative. 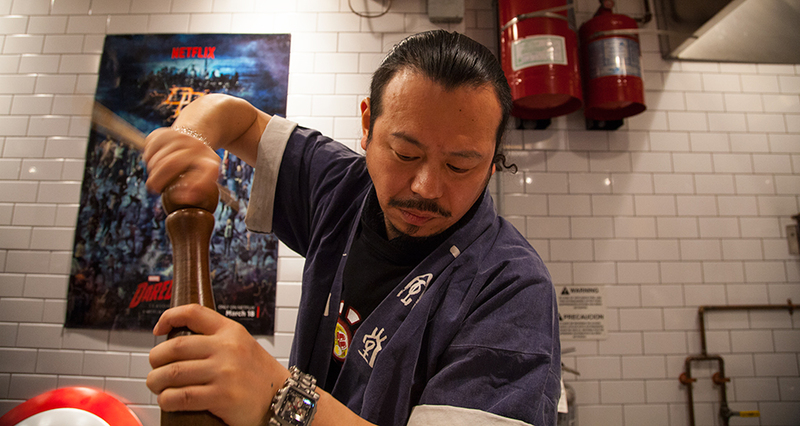 If you’re a noodle-slurping junkie, chances are high that you know about Ippudo, the ramen stalwart celebrated for its intensely flavored tonkotsu broth. 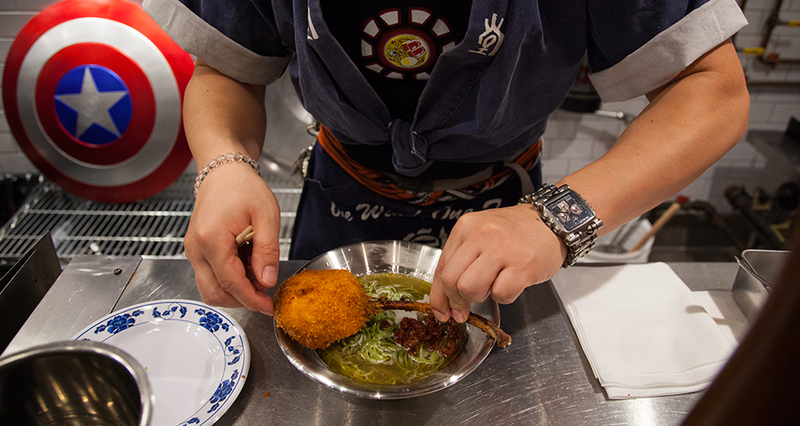 It’d be easy for the franchise to rest on its laurels just based on its opaque, pork-studded bowls alone, but Ippudo has always been at the forefront of experimentation, teaming up with fashion designers for sartorial advice while throwing special tribute dinners. 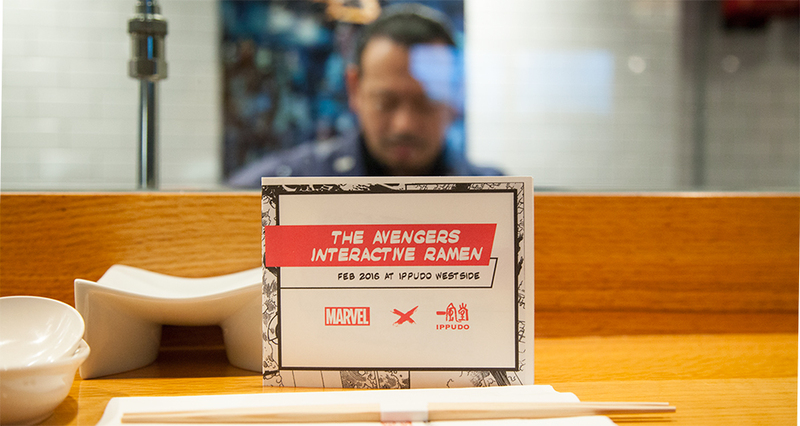 The story behind this partnership goes to show the strong overlap between ramen and comics nerds. 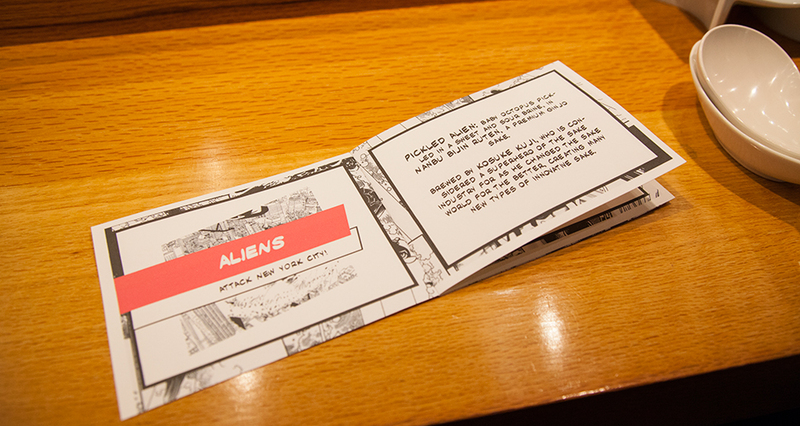 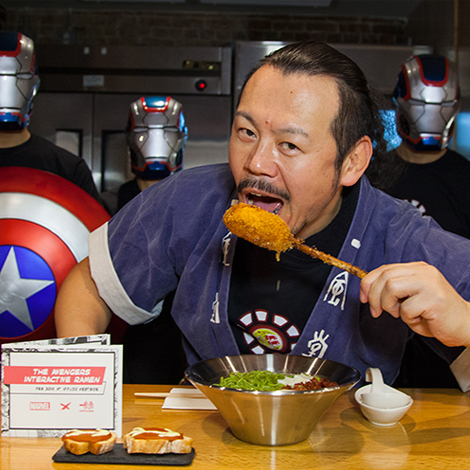 Ippudo GM and ramen master Fumihiro Kanegae, who oversees the recipes for the brand, is a comics connoisseur. 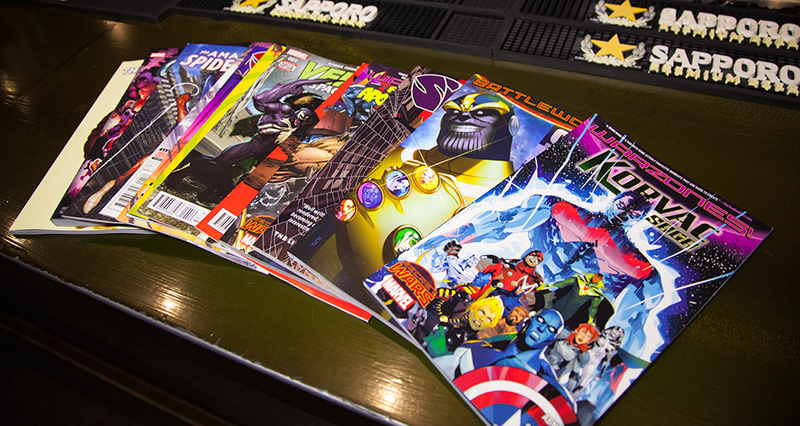 He was introduced to C.B. 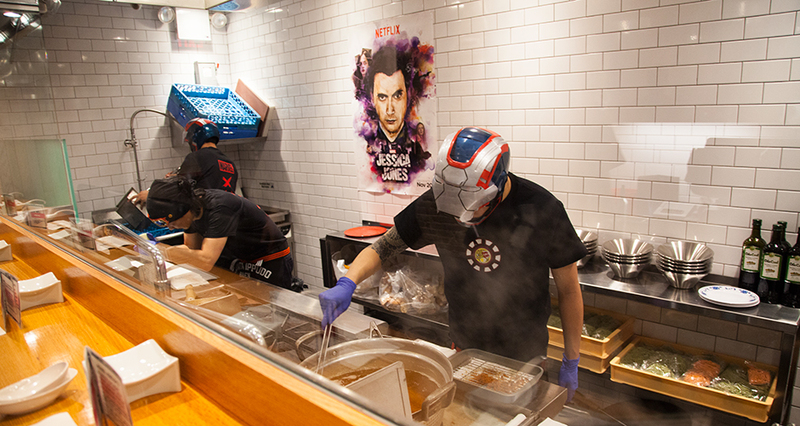 Cebulski, Marvel’s senior VP, who lived in Japan for several years, building his ramen credentials by running his own soup blog. 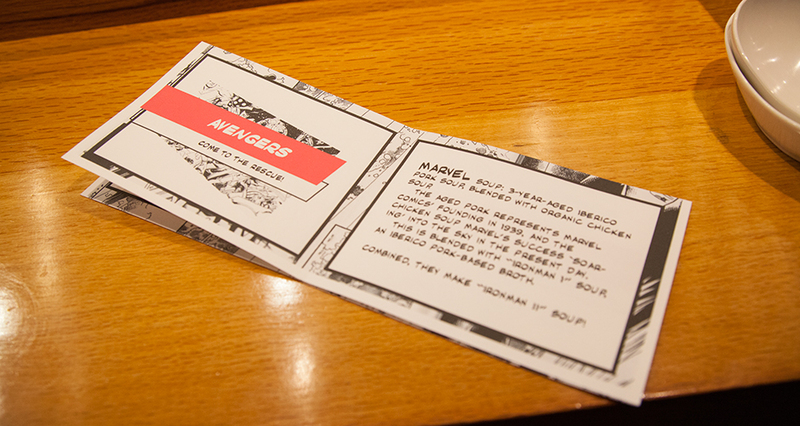 For this project, Kanegae decided that every ingredient in the ramen would be a symbolic nod to their joint effort—an Avenger character, a tidbit from the Avengers story, or an ode to the history of Marvel Comics. 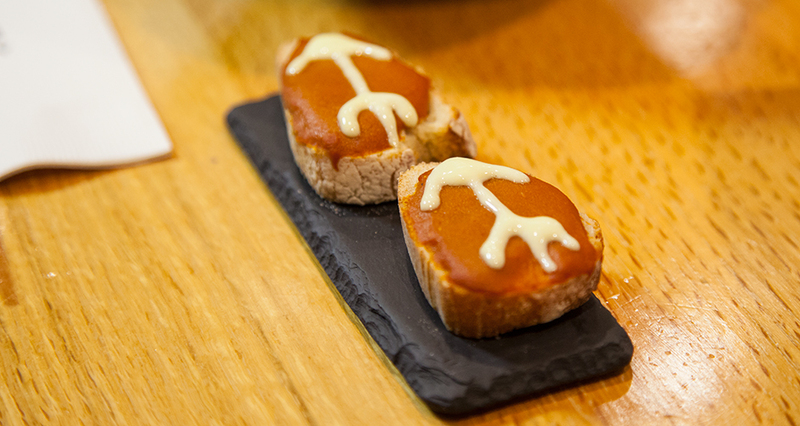 Kaneage combines two different soup blends: an Iberico pork soup, and another mixture using three-year-aged pork bones mixed with organic chicken. 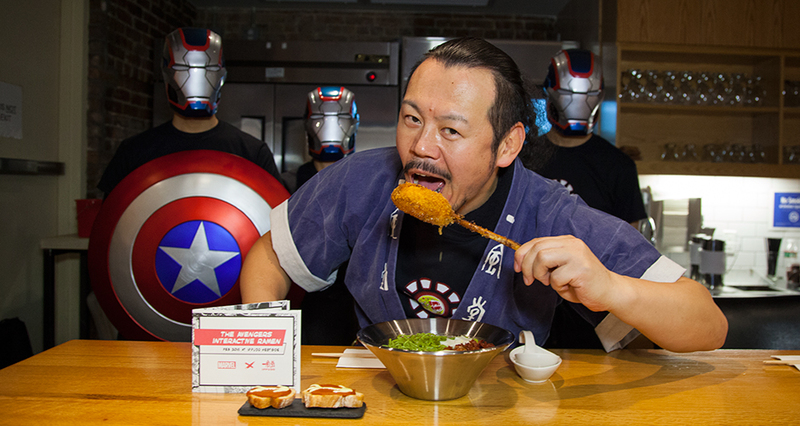 The aged pork evokes the heritage of Marvel, which was founded in 1939, while the chicken’s wings points to the superhero’s ability to soar in the sky. 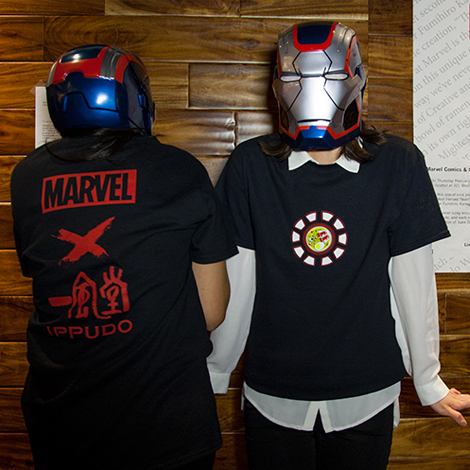 “The Avengers is a team with personalities; it’s a group people can identify with, rather than just focus on one guy,” says Jeff Hsu, operations manager at Ippudo. 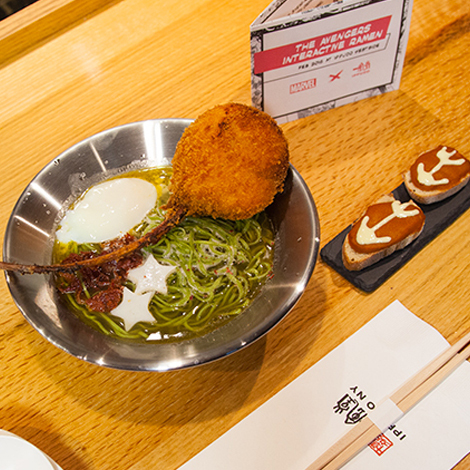 Interestingly, the ramen is served with two small pieces of toast, topped with a seafood-based sauce, and decorated with an arrow made of a garlic-cream sauce. 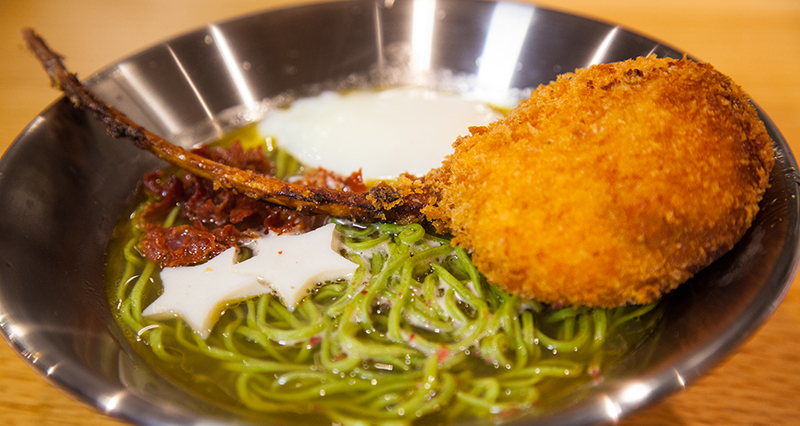 Kanegae desinged it so that guests would scrape off the sauce and stir it into the broth. 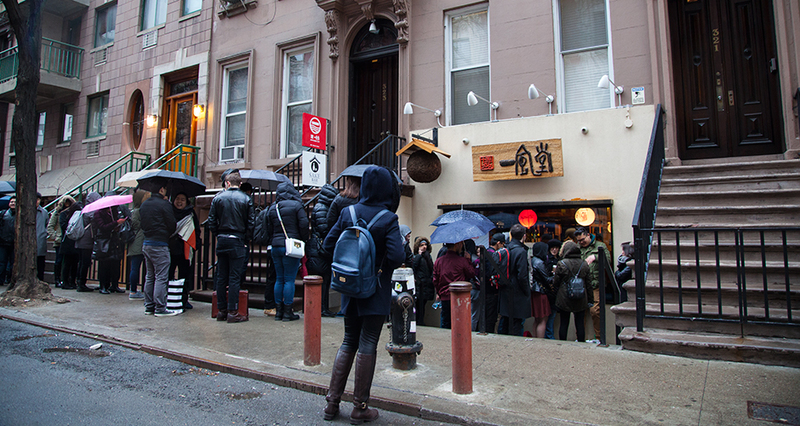 “It changes the entire flavor of the ramen,” says Hsu. 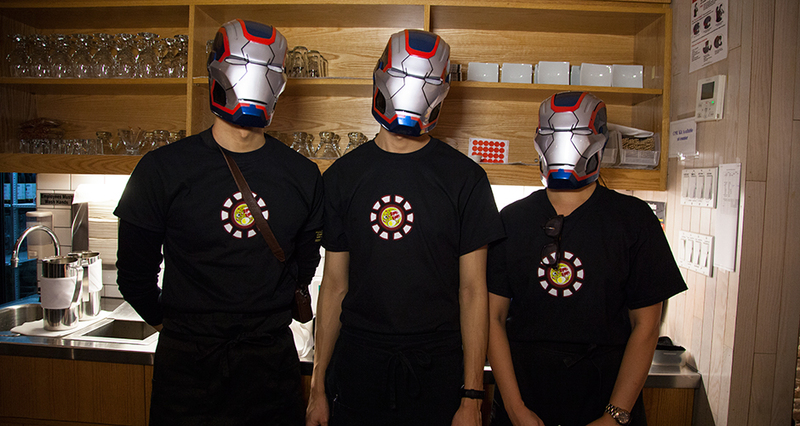 “He’s interested in the evolution of an eating experience.” Guests also receive an aperitif of sake from the esteemed brewery Nanbu Bijian that comes with an “alien”—a brined baby octopus. 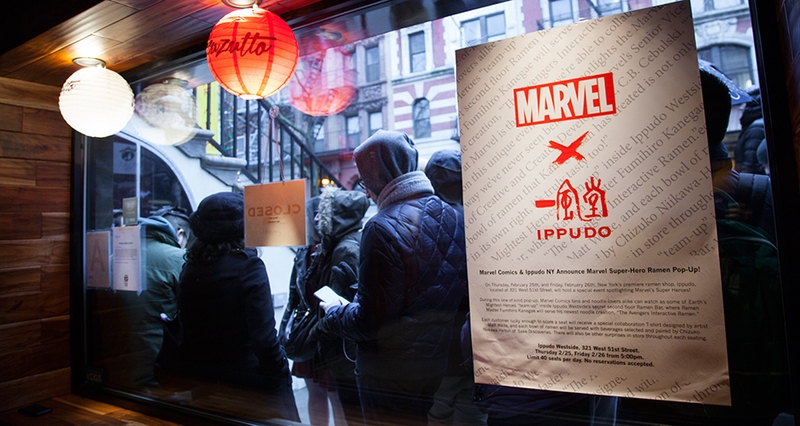 Last night, limited-edition Marvel figurines only released in Japan were given away, and Hsu assures there will be more surprises tonight. 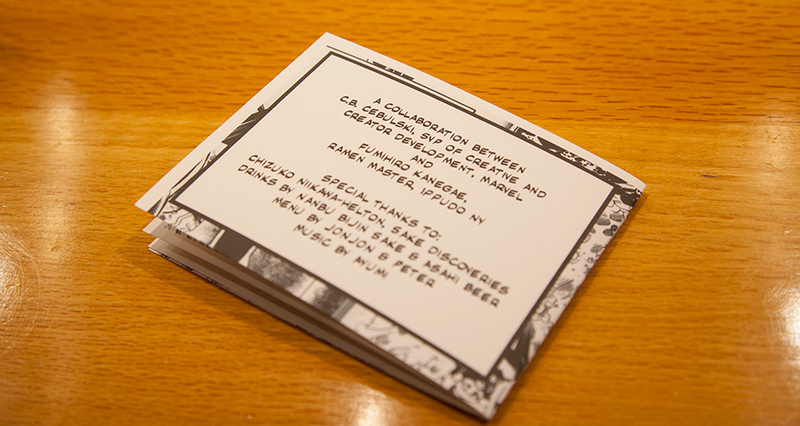 Seating will begin at 5:00pm on both days. 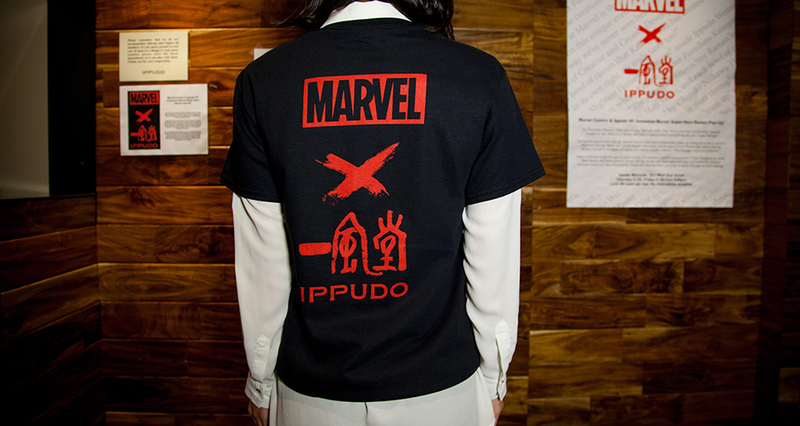 Reservations are not accepted.